Each and every week you all amaze us with your submissions and how hard it is to only pick a select few to feature! :) Keep up the great work! Good morning, Julie! Thanks so much for hosting your party and for always being so sweet! Hope you have e a wonderful week. Thanks for hosting, a lot of great stuff here! Happy Monday Julie! That butterscotch granola caught my eye too, yum- Sorry about the comment problem on my blog, a couple others have occasional problems too. I've talked to wordpress and they said nothing's wrong but I will look into it. I really appreciate the weekly party and all the sweet comments you and Jess leave. Thanks so much for the feature!! What an honor!! I will be giving you a Shout Out on Google + and in my next post!! 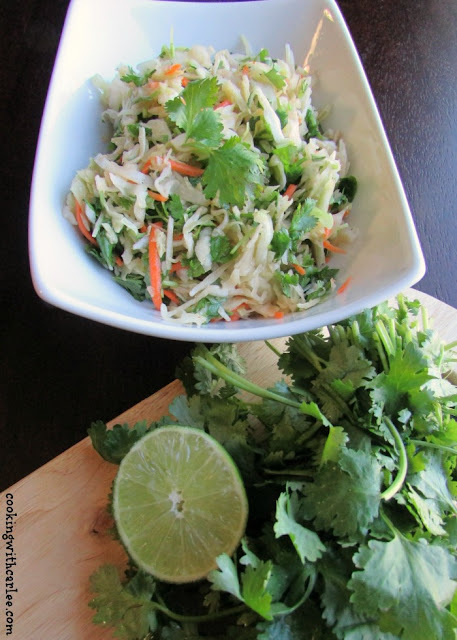 Thanks for featuring my Honey Lime Slaw! I hope you had a lovely weekend and thanks for the party! Thank you for the party Julie! Hope you have a wonderful week ahead! Thank you ever so much for the party, Julie! Great party this week! Thanks for hosting! Thanks for hosting. I hope you had a nice weekend and have a great week! Hi Julie and Happy Monday! WOW so many great posts. Thanks so much for the great party and so many wonderful food items. Hope all is well with you and Bosco. Any plans for the summer? Have a wonderful week. Thanks for hosting Julie. I want to thank you for your lovely comment about Celeste's blogmaker. It was a pleasure working with her. I love making over blogs...Enjoy your week. Waffle cone coffee! I NEED that this morning! Awesome features. Thanks for hosting! That waffle cone cone looks so delicious. Hi Julie, wonderful features for the party this week. 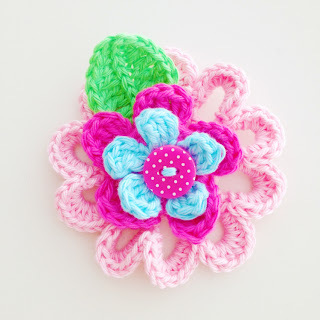 Love that sweet crocheted flower. Julie, thank you for hosting. So many great links, but the one I need to check out first is that 15-minute sunglasses case tutorial!